SOS have always supported the government lead apprentice scheme. We have took on several apprentices over the past few years, many of which have stayed on to become full time members of staff. 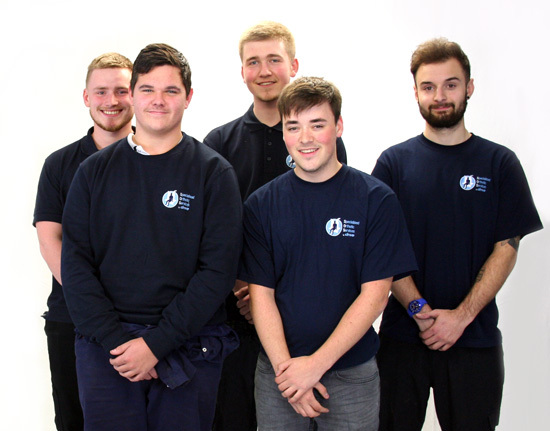 To help meet demand, we are pleased to have taken on several new apprentices to work at our facility in Tutbury, Staffordshire. The roles include Office Trainees, Trainee welders, machinists and manufacturer/assemblers. “It has been great so far, the training I have been receiving is spot on and learning something new every day. The people are great to be around and it is the first time in a while I’ve actually enjoyed working somewhere. Specialised Orthotic Services are one of the UKs leading specialist seating, mobility and positioning product providers. We specialise in caring for children and adults with complex postural needs. The whole manufacturing process is carried out at our facility in Tutbury Staffordshire. SOS special seating service includes assessment of the clients seating needs through to design, manufacture and delivery. Interested in working at Specialised Orthotic Services?